Attention Detroit residents — you can donate your unwanted vehicle to benefit any national charitable organization you choose. 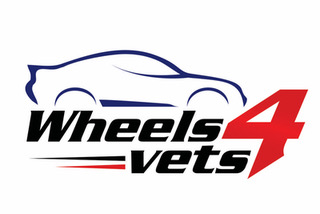 The Vehicle Donation Processing Center will handle the paperwork and arrange for free pick up of your donated vehicle. The Vehicle Donation Processing Center helps you clean out your driveway and make a charitable contribution at the same time! The Vehicle Donation Processing Center will pick up your vehicle for you anywhere in Detroit, whether you live in the charming historic district of Rochester, with its famous open-air FarmersÃ¢â‚¬â„¢ Market, or in Dearborn/Wayne, an Arab-American melting pot and home of The Henry Ford, the nation’s largest indoor-outdoor American History museum entertainment complex. Just call our toll-free number 24 hours a day to speak with a live operator, or fill out the online donation form. The residents of Motor City have plenty to do in this dynamic city, from continuing to enjoy the musical legacy of Motown to soaking up Detroit history at the central Hotel Pontchartrain (site of an old French fur trading fort on the Detroit River). DonÃ¢â‚¬â„¢t worry about trying to sell your car or truck yourself; just call The Vehicle Donation Processing Center to take care of all the details.